No two divorces are the same. They are very emotional, trying times, and can create a lot of damage at just the mention of the word even if only intended as a threat. 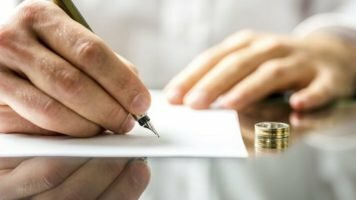 A Raleigh divorce lawyer will be able to help you navigate the process, but there is much to consider when taking this path. Before making a final decision on the matter, there are some things to consider. There is a chance that your mental state is compromised. A new crush, a mid-life crisis, clinical depression — there are a large number of things that can enter your life which will be momentary, but will feel intense enough that it may persuade you to consider a decision with long-term consequences. Tending to any internal issue may settle any feelings of terminating such an important relationship. As previously mentioned, merely bringing up the desire to divorce can end a relationship even if the initial motivation is no longer there. There is no “undo” in telling a partner that you wish to end the relationship. Are children involved. If so, custody is most likely at the forefront of your mind. Extreme circumstances barred, you and your spouse will share custody. It’s a good idea to review scheduling of your work, your children’s school and extracurricular activities and other recurring obligations. It is also a good idea to review the schedule of a spouse so that the interest of the kids can be outlined ahead of time, as separating will affect the children long before the divorce is final. Will you continue to reside in the same residence as your spouse during the divorce (yes, this is a legitimate option), or will you be living apart? Even if you intend to live in the home with your spouse, do you have a contingency plan should this not be a viable option? Do you have additional support, or will everything be up to you? Even if the marriage is emotionally dead, dating while married is considered adultery. In extreme cases, money spent on a paramour can be viewed as dissipation of marital estate, which would result in your spouse recouping all of your expenditures. Also, if the basis of your divorce reasoning is that your spouse is unfaithful, you risk losing any sympathy from the court should the court view this as just another extramarital affair. This could result in a loss of court-ordered spousal support that you may otherwise be entitled to receive. 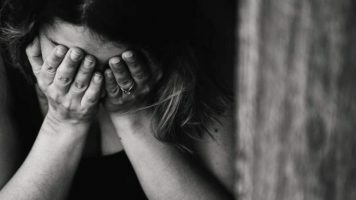 If you are contemplating whether divorce is a good solution for your situation, you’ll wish to speak with a Raleigh divorce lawyer who is skilled in this matter. Contact Daphne Edwards for a confidential consultation to learn the options best for you.